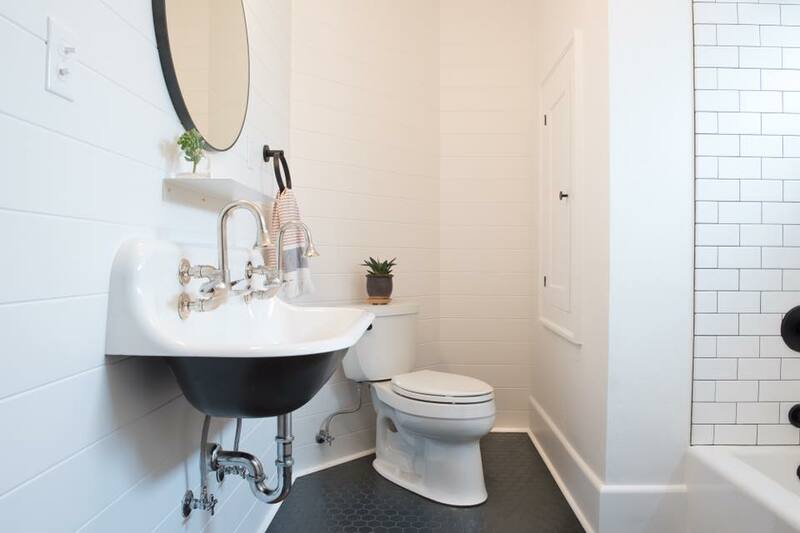 This bathroom in a lovely Beaumont Craftsman had suffered from a series of poorly done remodels that left it cramped and unappealing. The plaster walls were cracking, and a large window over the tub gave passers by a clear view inside. 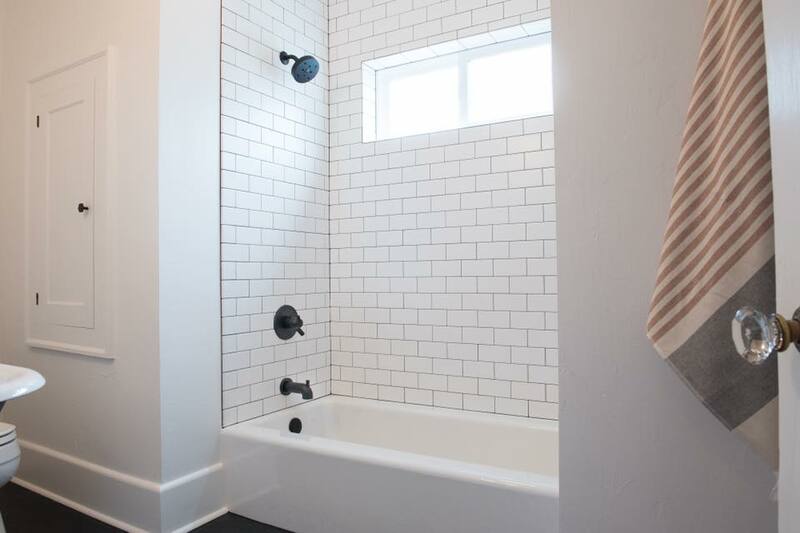 The homeowners came to us wanting a functional family bathroom that would reflect the Craftsman aesthetic. 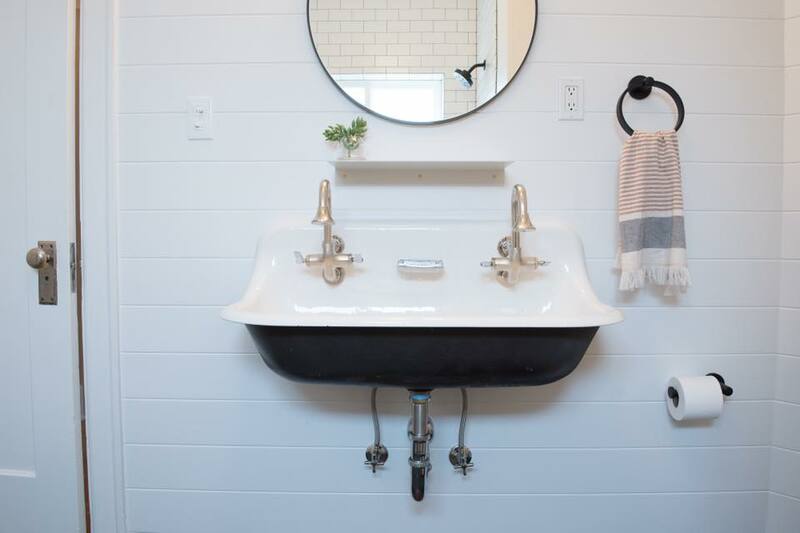 Moving walls wasn’t an option, so we opened up the bathroom by keeping to a crisp, timeless black-and-white color scheme. We also added a linen closet between the studs to maximize storage in this small space, and swapped the window for one that lets in light without compromising privacy. The finishes really stand out in this space. 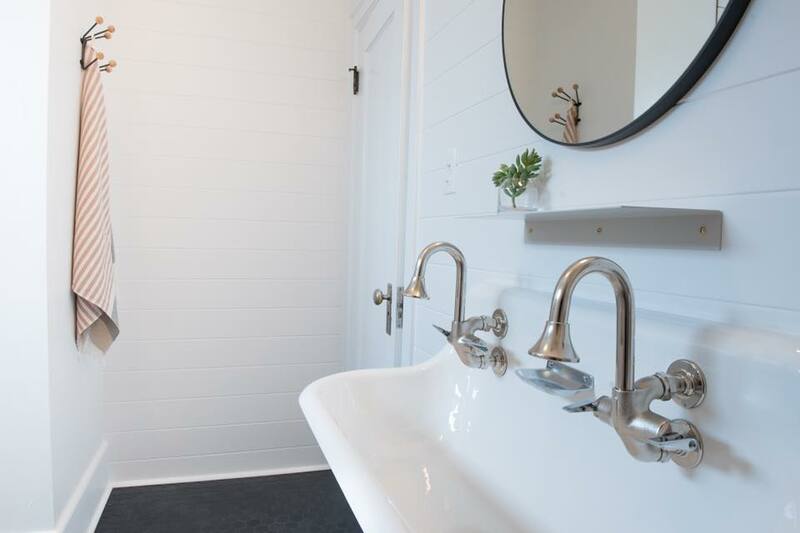 The walls are covered in shiplap, and the double cast iron sink and new cast iron tub keep with the original feel of the house. 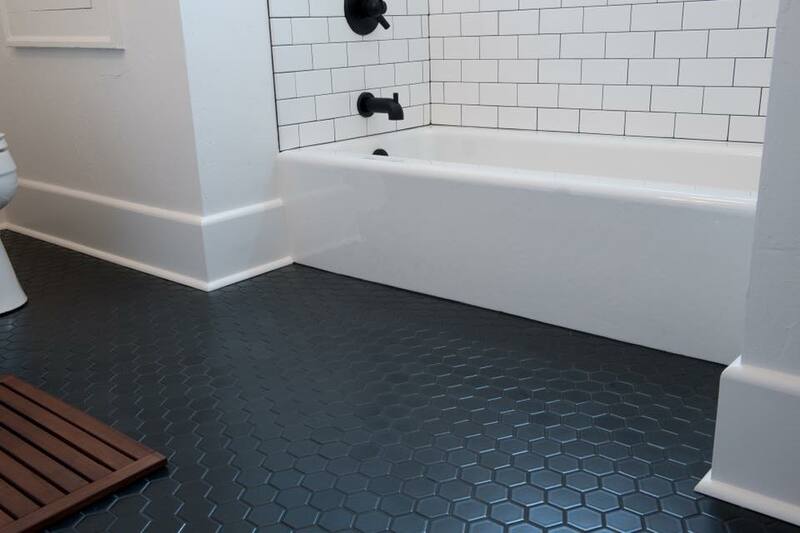 The black hex tile floor and and black-grouted subway tile lend drama while maintaining the classic look.